Even minor knee pain can be an early indicator of a serious injury or chronic condition. So, it’s important to seek medical intervention right away. 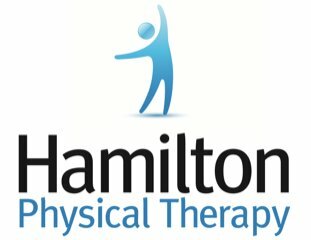 Dr. Thomas and the team at Hamilton Physical Therapy can help you get the relief you need today! According to the Institute of Medicine, roughly one in five adults experiences knee pain. Knee pain becomes more common as we age. This may be due to the wear and tear of the knee over time. Our knee supports about one-and-a-half times our body weight as we step while walking. Plus, every pound of excess weight exerts about four pounds of extra pressure on the knees. It’s no surprise that years of walking, running, and routine activities can cause the knee joint to weaken and become prone to inflammation. But while you cannot turn back the clock on time, you can make changes to lessen the stress placed on them. At Hamilton Physical Therapy, we can help you with your knee problem. Our office is ready to give you personalized advice designed to fit into your lifestyle and to address your pain. Please call 410-444-2770 or book an appointment online to begin your care journey! Extreme physical stress, excess weight, muscle imbalances, flat feet, tight ligaments, and improper exercise techniques are all potential causes of (or factors in) knee pain. Sometimes the source of knee pain is an injury, such as a torn meniscus. In the majority of cases, however, natural aging of the knee may be associated with knee pain. This is because over time, our tissues become more susceptible to tearing, even during our daily activities. While knee pain and soreness can sometimes go away with rest, ice, and over-the-counter pain medications, you may need to take further action if the pain is severe or persistent. Braces, wraps and knee bands may also help. But they only serve as band aids. As with any health issue, treatment options will depend heavily on the nature of a patient’s knee pain. The good news is there are many treatment options instead of knee surgery. For some, physical therapy may be all that's needed. In physical therapy, patients can learn specific exercises for their particular issue and ways to move differently to minimize stress on the knee. For basic wear and tear, this may be all that’s needed to revitalize the knee joint. Soft Tissue Mobilization treatments, including massage, may also be beneficial. These treatments can speed up healing, smooth out scar tissue, enhance circulation, and decrease pain. Lifestyle changes - like exercising, losing weight, and walking differently - can also offer relief from chronic knee pain. These adjustments, however, should be made with professional supervision to ensure they will not make the pain worse. At Hamilton PT, we put the focus on you and will treat the root causes of your knee pain. Our combination of physical therapy and holistic health care will address pain at its source, rather than simply masking your symptoms. Our team will also make sure that we personalize and deliver the right treatment for you. If you’re ready to tackle your knee pain, call us at 410-444-2770 or request an appointment online!